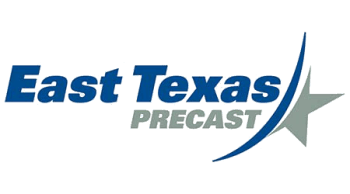 If you are budgeting your latest precast project, beginning to design in precast, or even just considering using precast on your next project, East Texas Precast is here to help. One of the most important things you can do to save time and money is get us involved early. We are more than willing to review projects to value engineer the most efficient use of precast. In addition, you will get the latest lead time information to help build and keep your project on schedule. Please contact a member of our sales team for more information. If you are new to precast, take a look at Industry Standards to see how people are currently designing with precast. If you are already beginning to work on a project and would like details to work from, take a look at our details.